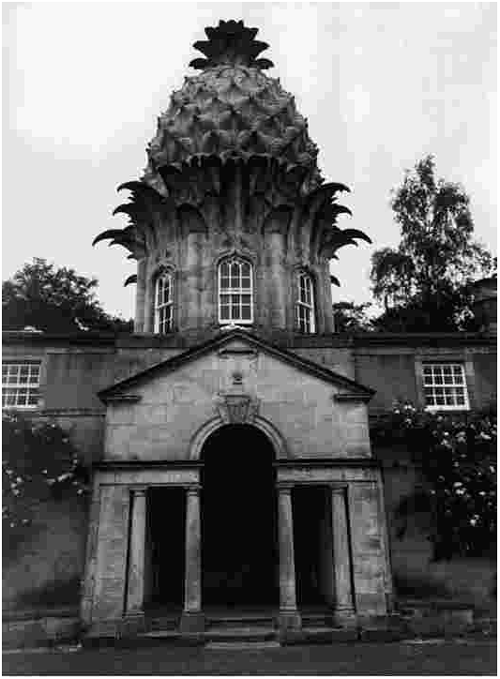 This building, the Pineapple House (1761, Airth, Scotland), exposes a rare architecture in which a huge pineapple is supported by a neoclassic basis. The architecture in the next pictures relates quite different to plants. It is not the plasticity but the pure pattern called phyllotaxis that counts.